Some years have gone by where I’ve felt I haven’t made enough of our Halloween celebrations and crafting opportunities. 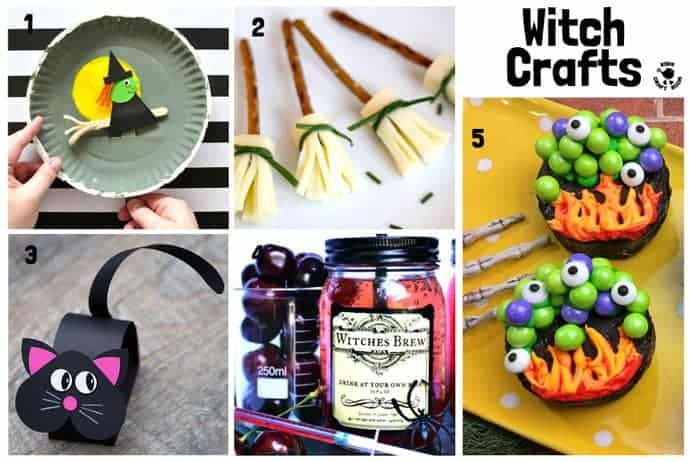 To put an end to that I’ve gathered together 31 of the most fun and most awesome Halloween crafts in one place. 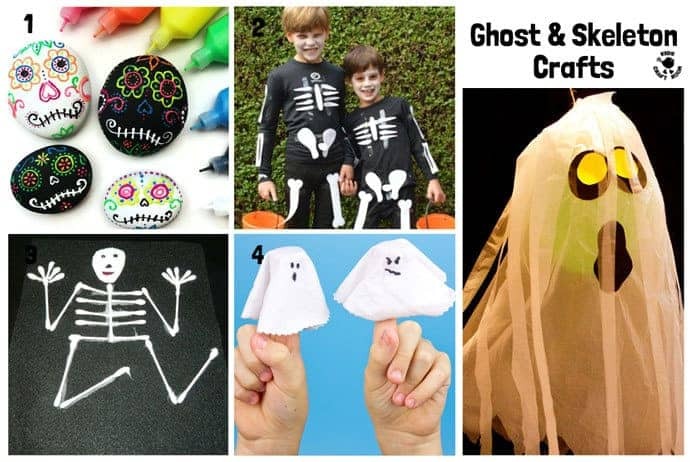 Now it’s super easy to indulge in brilliant Halloween crafts every day right through October! We’ve got an amazing array of awesome Halloween crafts including witches, zombies, bats, skeletons, spiders and ghosts! I like to think of it like an advent calendar for Halloween where you can pick and choose one every day in the countdown to Halloween. A total Halloween crafting feast! 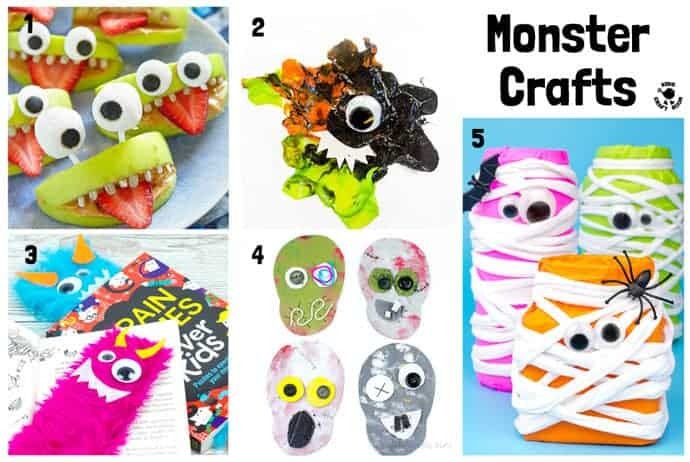 To make it easy to pick which of these awesome Halloween crafts to do each day I’ve organised them into sections where you can see a photograph of each craft and a link that you can click to take you right to the supply list and tutorial. And Something For Halloween Day! I’m sure you’ll have as much fun as us choosing a Halloween craft for each day, the only trouble will be deciding which one to do first. You’ll want to do them all they’re such fun! 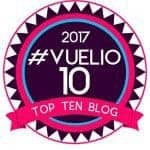 1 – This Moving Witch Craft is one of my all time faves. 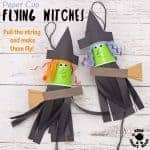 Simply made with a paper plate, kids will love flying their witch! 2 – Every witch needs her broom! These Broomstick Halloween Snacks are easy to make, look fantastic and are delicious! 3 – All good witches need a familiar and this Bobble Head Witches Cat is adorable! 4 – How about celebrating Halloween by mixing up some Witches Brew? The perfect Halloween drink! 5 – A witch won’t get far without her cauldron at Halloween! These Cauldron Halloween Treats are easy to make and don’t taste of eye of newt! 6 – 1 – Halloween monsters don’t get any cheekier than these Apple Monsters! A Halloween treat that’s on the healthier side. 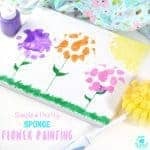 7 – 2 – Get your little monsters huffing and puffing with this Monster Blow Painting Halloween art idea. 8 – 3 – They may be monsters but they’re awfully cuddly! Monster Bookmarks are great for snuggling up with while reading your favourite Halloween stories. 9 – 4 – I bet your kids enjoy pretending to walk like a Zombie, well now they can craft a Zombie Head too! 10 -5 – Mummy Mason Jars are perfect for storing all your Halloween candy, or why not put a battery tealight in them for a spooky mummy luminary? 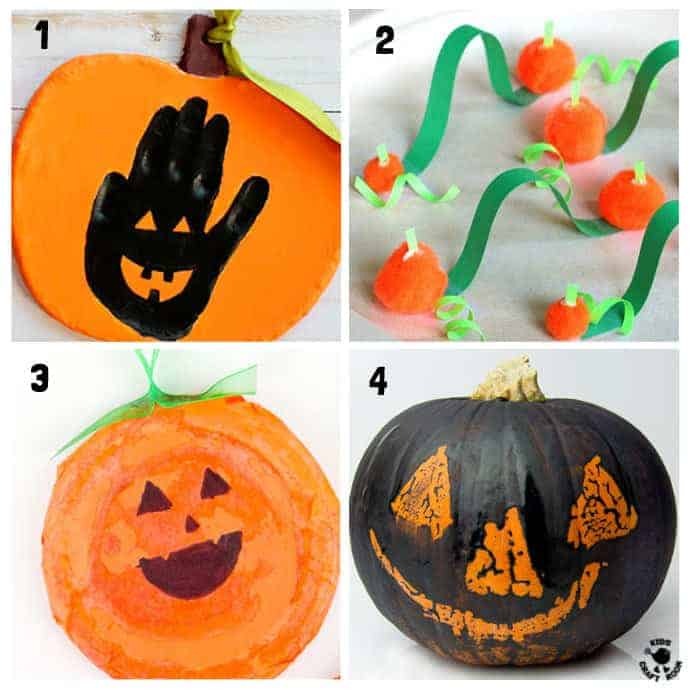 11 – 1 – Handprint crafts make such lovely keepsakes and these Halloween Handprint Clay Designs are no exception. 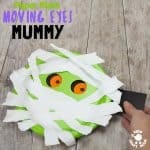 12 – 2 – Fancy a Halloween craft idea the kids can play with? A Pumpkin Patch Marble Maze will keep little hands busy. 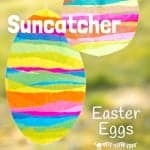 13 – 3 – Decorate your windows with these fun Pumpkin Suncatchers. 14 – 4 – It’s fun to decorate real pumpkins too. 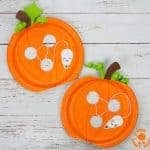 Why not try Wax Resist Pumpkins? It’s so much easier than pumpkin carving. 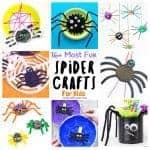 15 -1 – You’ve got to include some spiders in your Halloween crafts! These Paper Spiders are fun! 16 -2 – Don’t be frightened by this Climbing Spider…it really moves! 17 – 3 – If you love spiders so much you’d like one as a pet then these Pebble Spiders are perfect for popping in your pocket! 18 – 4 – What better way to collect your Halloween treats than in a Spider Treat Bag? Isn’t the web on this ace? 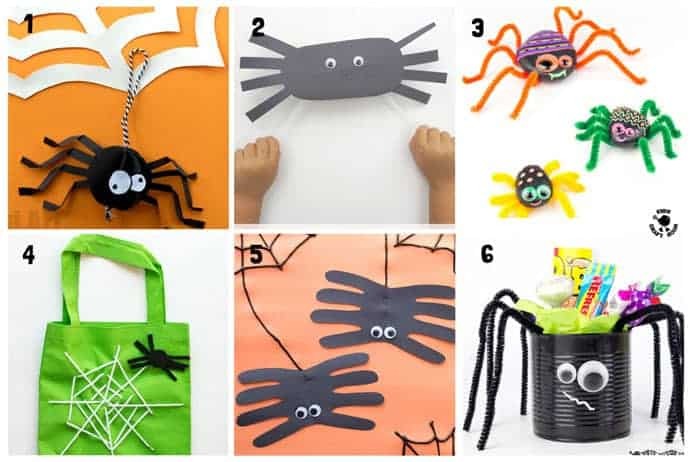 19 – 5 – Little hands will love the simplicity of Handprint Spiders. 20 – 6 – Tin Can Spiders make a wonderful Halloween table display. 21- 1 – Puffy Painted Sugar Skulls are one of the most colourful Halloween crafts you’ll find! 22 – 2 – Need an easy Halloween costume to make ? 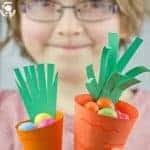 This DIY Skeleton Outfit will save you hours..
23 – 3 – Q-Tip Skeletons are so fun to make and kids love putting them in all sorts of crazy positions. 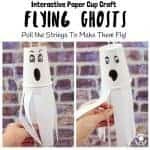 24 – 4 – How about a bit of imaginative play with these easy make no-sew Ghost Puppets. Boo! 25 – 5 – Jumbo Floating Ghosts look amazing and are super fun for decorating your house if you are having a Halloween party. 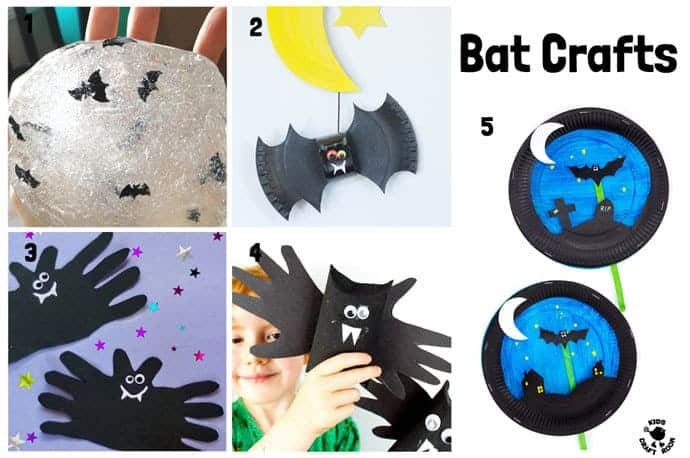 We are almost at the end of our 31 Days Of Awesome Halloween Crafts but we’ve just got enough space left to go batty over bats! 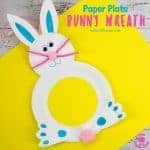 26 – 1 – This isn’t strictly a “Halloween Craft” but I’ve included it because it is so much fun! Bat Slime Sensory Play is brilliant! 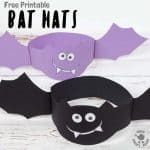 27 – 2 – If your kids love Halloween as much as mine then they’ll love this Paper Plate Bat Mobile. It’s smart enough to hang in your bedroom all year round. 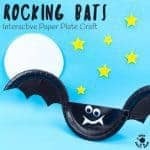 28 – 3 – Handprint Bats are super fun and great for when you don’t have much time for Halloween crafts but still want to squeeze one in. 29 – 4 – Here’s another Handprint Bat idea that’s fun too. 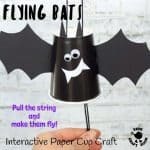 30 – 5 – Your kids really will go batty over this Interactive Flying Bat Puppet Craft. 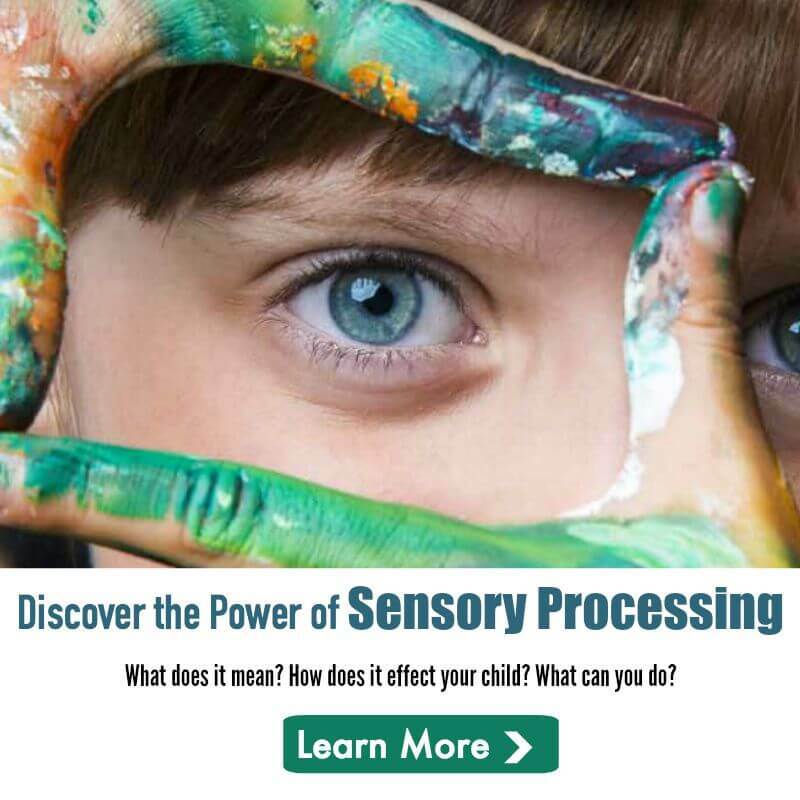 It is surprising easy to make and so much fun to play with! 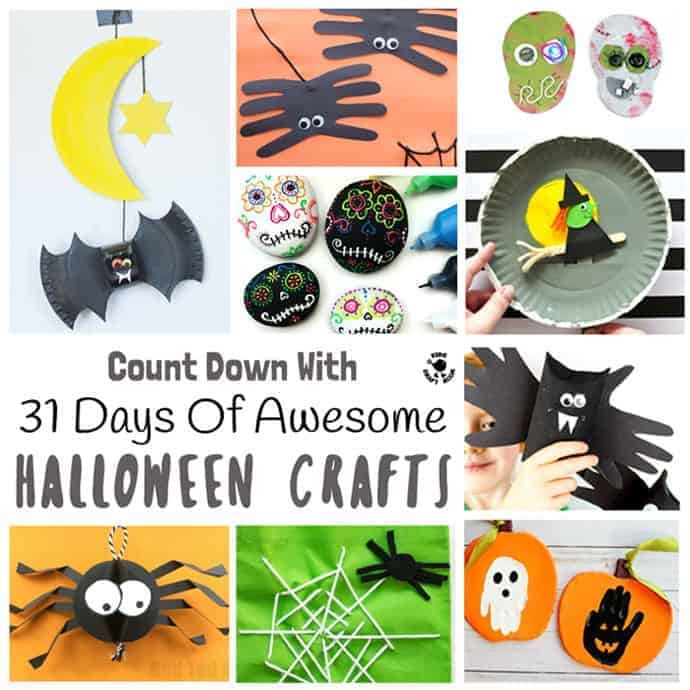 31- We really are at the end of our 31 Days Of Awesome Halloween Crafts now and I bet you’ve got a very busy Halloween evening of celebrations planned? 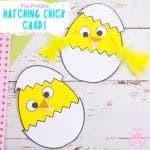 That’s why I saved this fun Halloween craft until last! 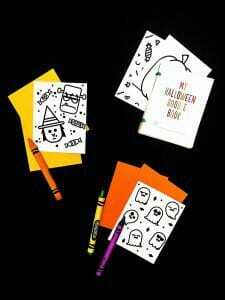 These Printable Halloween Doodle Books are perfect for kids to enjoy on their own freeing you up to prep for the festivities or put your feet up! Happy Halloween. Have you got a favourite Halloween craft? We love hearing from you, leave a comment below, come and chat on Facebook or sign up to our email updates.